Deep End's Perception Gets An Update on Release Date, Consoles, and VR | Nerd Much? In a recent interview with WCCF Tech, Perception’s Creative Director, Bill Gardner dropped a few heavy-handed clues about the upcoming horror game. We already know what the game is going to be about, but the rest has been more or less left to rumors and confirmed maybes. 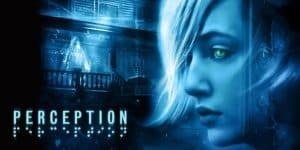 According to Gardner, Perception will be getting a release date soon, as in within “the next couple of months.” This couldn’t thrill me more, I had feared this game was going to go the way of The Last Guardian and take way too long to come out. Months away could mean the release date is within a year or two. Next up came the question of consoles, and Gardner confirmed that Perception will be coming on the “PC, PS4, [and] Xbox One.” However what excited me the most, was to see that Gardner mentioned Deep End is “really close to saying 100% on Switch.” It’s starting to sound like the Switch might just be The One Console to rule them all for some gamers, which is far more than can be said for the Wii or Wii U.
Resident Evil 7 and Perception? Sounds like VR is the console for horror games, and I can’t say they’re wrong. Horror games have always been about immersion and atmosphere, something VR can create in spades. How do you think Perception would fair on VR? And the Switch? Let us know in the comments below.